All along, Liming Heavy Industry has a larger market share in Kazakhstan, jaw crusher, impact crusher, cone crusher and other products are popular with local customers.In order to provide accurate production line solutions and improve service, Liming Heavy Industry set up a local office, effectively respond to the real needs of customers. This time, the customer choose Liming Heavy Industry is a construction company from Astana. 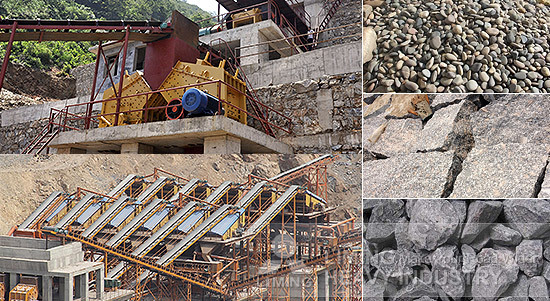 The whole production line consists of jaw crusher, cone crusher, impact crusher and other supporting facilities, compact structure, reasonable application, mainly used for crushing granite. According to the customer, due to the 2017 World Expo will be held in Astana, the capital's stadium, road and hotel have been in preparation or starting construction and renovation. In such a market environment, expanding scale and speeding up production is important. Liming Heavy Industry's market influence and professional technical solutions in the local make he finalized this partnership. This large stone production line adds prosperity for the construction of Kazakhstan's capital Astana. Liming Heavy Industry strongly releases market influence in Central Asia.